Instead of growing into the adult world, young adults are waiting for the world to change to suit them, and it does. The Arts & Entertainment section has been publishing a series on life-changing books, and if there&apos;s one thing those books have in common, it&apos;s that they were first read by young adults. Even now, I revisit the novels I read as a young teenager. When Suzanne Collins&apos; The Hunger Games first came out, I went into its world with gusto and was disappointed enough to stop reading the series. The first book tries to follow in the traditions of both dystopian and young-adult fiction, but falls short of succeeding in either literary camp. The Young Adult Library Services Association (YALSA) thinks of the young-adult genre as populated by books appropriate for readers between the ages of 12 and 18. But that parameter defines the genre by the book&apos;s readership. Other genres — take science fiction — are defined by their content, which is then marketed to a specific audience. But even with age-range markers, I think we would find that The Hunger Games has as many adult readers as those below the age of 18. Young-adult books capitalize on that feeling of wonderment that we like to believe is unique to children&apos;s imaginations. So what constitutes a young-adult novel? It is not enough to have an adolescent protagonist or narrator — &apos;adult&apos; branded novels sometimes use young central characters as well. Instead, the protagonist&apos;s experiences should be our guiding principle, and these experiences should be familiar, if not unique, to young people. What distinguishes Collins&apos; Panem from prior otherworlds is that it is not exclusive to young people. Young-adult books capitalize on that feeling of wonderment that we like to believe is unique to children&apos;s imaginations. There is a sense that adults don&apos;t understand these worlds, or that they have no access to them. Adults are inured to the world&apos;s marvels — they are too familiar with the dark reality, with the Voldemorts and the White Witches. Platform 9 3/4 is the means to bring young people into the magical world in the same way that Wendy&apos;s window is a vehicle for Neverland, the wardrobe for Narnia, and the rabbit hole for Wonderland. 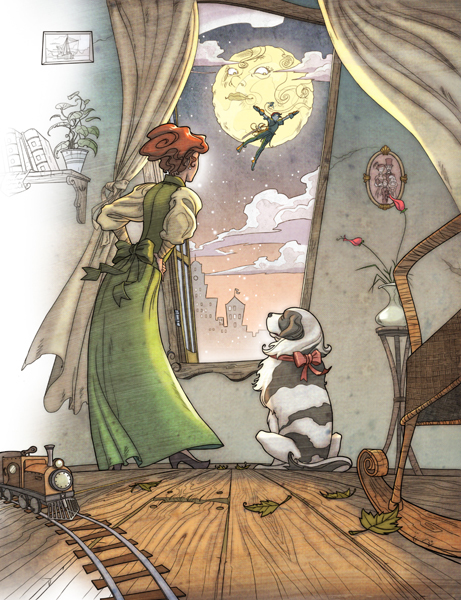 In the first of Pullman&apos;s trilogy, a child is the cornerstone for bridging parallel worlds. 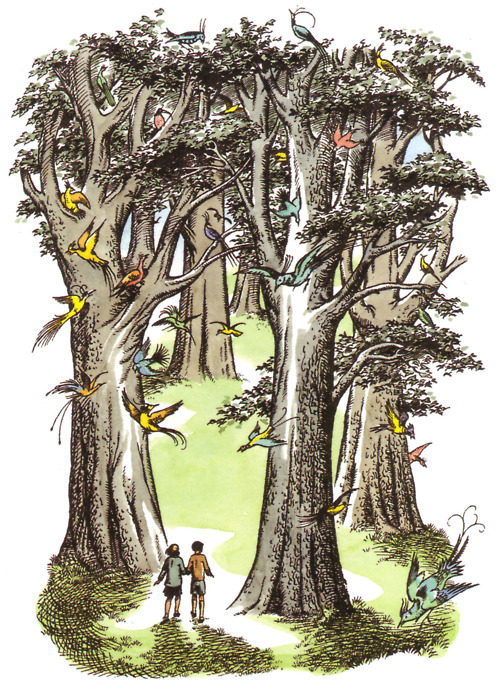 In the second book, the world of Cittàgazze is deadly to adults, but children roam there carelessly. The larger plot arcs of all of these stories involve a bildungsroman: the child narrators come-of-age in a manner that necessitates a young protagonist. We have to believe that the story of young-adult novels would be fundamentally different, if not impossible, were adults to replace the children. This is not the case with The Hunger Games. Fans will argue that forcing 24 adolescents into a fight-to-the-death arena makes for a fun psychological game (spoiler alert), especially when teenage romance is involved, because they are young. The emotional core of the first Hunger Games book lies with the heavy truth that only one Tribute (participant) can survive. Our bets are with Katniss. But we readers also know that Peeta, a lovesick boy from Katniss&apos; home district, and Rue, a wide-eyed endearing character, are obstacles to Katniss&apos; chances of seeing her younger sister again. Victory comes at a cost, this set-up tells us. I suppose we like our heroes to be heroic, but the most compelling heroes are also human. The Hunger Games (the spectacle) is a potent container that, used properly, could strike the balance between the bare-faced ruthlessness of children and their compassionate underside. 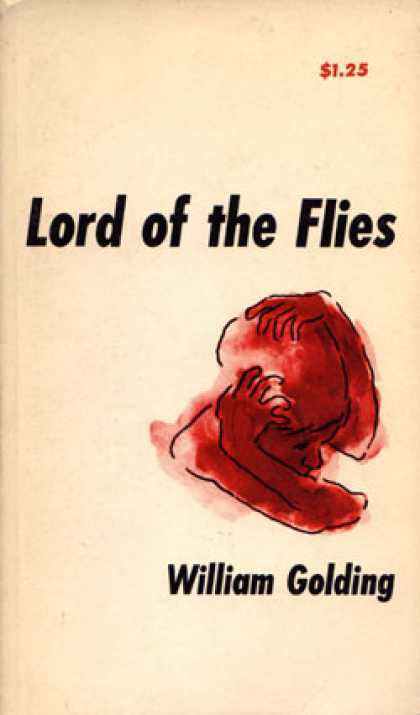 Such a container recalls the island of William Golding&apos;s Lord of the Flies, a young-adult classic and haunting example of the savage tendencies and moral unspooling of children left to govern — and survive — by themselves. Courtesy G. P. Putnam Publishing. By contrast, Katniss fights neither Rue nor Peeta. She only kills the blithely malicious Tributes, and even then it is often in self-defense. As a result, she does not leave haunted with the knowledge that, when thrown into the bear pit, she is no different from the rest of us. I suppose we like our heroes to be heroic, but the most compelling heroes are also human. Collins avoids such moral questions. There is no young-adult arc of innocence to experience — only stasis. Katniss enters the Hunger Games in the same moral position as when she leaves. It is likely that the Games would have played out the same — less a mawkish moment or two — were adults to play the roles of Tributes. Ending the first Hunger Games book on the dark note of Katniss succumbing to self-preservation and thus killing Peeta would, however, have been a break from the tradition of young-adult fiction. Heroes are winners. Young readers expect Peter to best Hook, and Harry to defeat Voldemort. The Hunger Games is a fable with no moral. It condemns nothing, it warns us against nothing. Dystopian worlds, on the other hand, have an entirely different literary tradition. They are used as warnings, what-if stories to keep us in check. Because of this, they typically end bleakly with that moral-y feeling one gets after reading Aesop&apos;s fables. 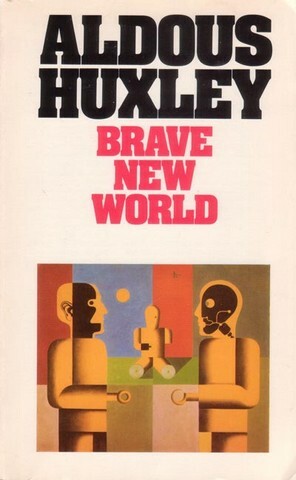 Readers see the broken and Big-Brother-loving Winston in Orwell&apos;s 1984, or the hanging feet of Huxley&apos;s &apos;Mr. Savage&apos; in Brave New World, and think: lesson learned. But the story of Collins&apos; Panem is not a cautionary tale. Katniss participates in the Games — the system — and plays (mostly) by the rules, and she wins. Even Peeta&apos;s survival of the Games is not, as Collins wants us to believe, so much a rebellion against the incumbents as it is Katniss&apos; success at working within the established boundaries. The Hunger Games is a fable with no moral. It condemns nothing, it warns us against nothing. The goodies triumph, even in a dystopian world. That, if anything, is a tribute to TV culture. Then again, the book is deliberately written in a style that pays homage to TV voyeurism. It&apos;s pure hedonism. One feels a cheap pleasure reading it, like another fan among the frocked and pink-haired Capitol dwellers, eyes glued to the glass for a gush of violence. Those who have seen the first movie adaptation will know this feeling. But the novel itself hums with reality-TV static. Collins&apos; doesn&apos;t need to be imaginative with the setting because we&apos;ve seen it all before: the Survivor-esque backdrop, the gladiatorial hand-to-hand combat, the talk show interview. Collins has tailored her work to suit young adult tastes, an unfortunate by-product of a genre that defines itself by its readers. Earlier works of literature read by young adults were beautiful because they preached the danger of indulging in fantasy worlds. In prior otherworlds, the dark underside eventually manifests, the spell is broken and the characters mature. Neverland, Wonderland, and Oz seem to preach the same message: grow up, wake up, there&apos;s no place like the real world. But the likes of Barrie would have been hard-pressed in a world where bookstores have &apos;Paranormal Teen Romance&apos; sections — whole shelves devoted to indulging teenage obsessions. Young-adult books are no longer expected to capture the coming-of-age arc. Instead of growing into the adult world, young adults are waiting for the world to change to suit them, and it does. They are satiated by the likes of The Hunger Games, or, sadly, the movie adaptation of it. We should demand more of our young readers, and of our writers.